We specialize in the classic jazz arrangements of the 1920s & 1930s, including transcriptions and arrangements of the Bix Beiderbecke recordings, as well as original compositions and arrangements in the traditional dixieland jazz style. We perform at jazz clubs and festivals around the SF Bay area, and are available for private events. We invite you to discover our music through our recordings or by coming out to hear us play live. Please visit our SCHEDULE page for a complete list of upcoming performances. Come on out and say hi. 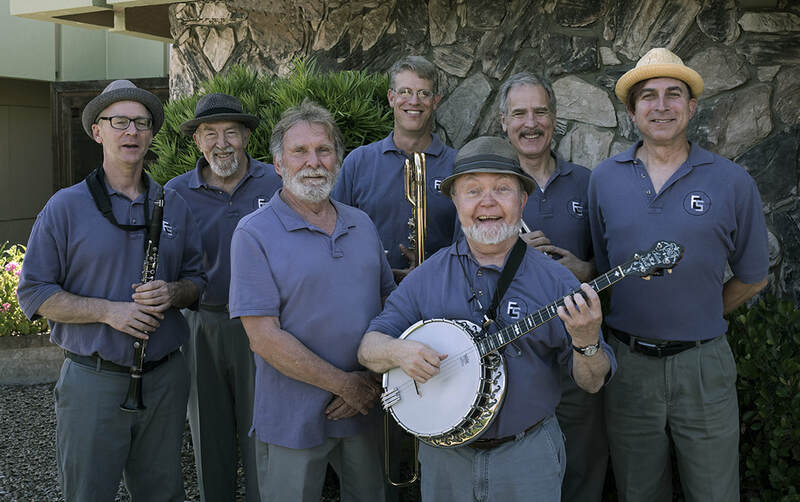 (925) 432-6532 or at music@fogcitystompers.com. If you'd like to take us home with you, you may order CD's by going to our MUSIC page or by contacting us directly via the contact info. above. For any E-mail correspondence, please put "Fog City Stompers" in the subject line. Thanks for visiting! We look forward to seeing you at one of our events.